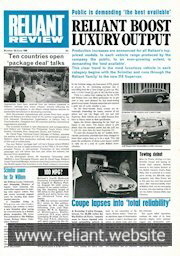 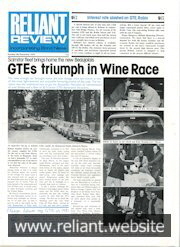 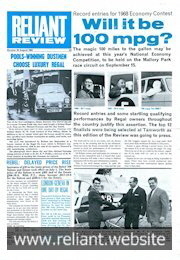 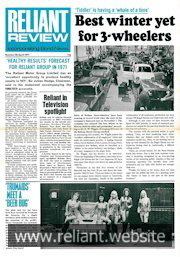 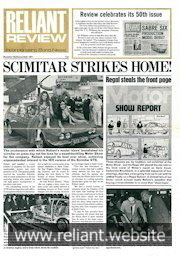 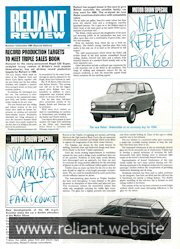 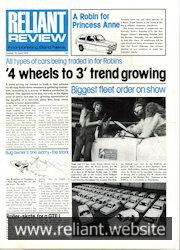 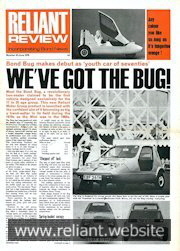 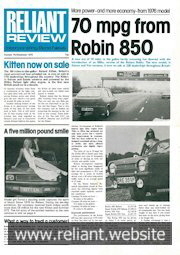 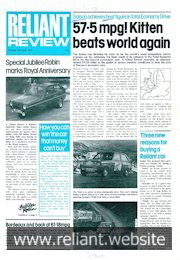 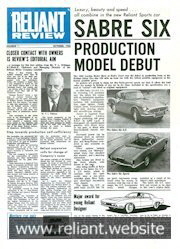 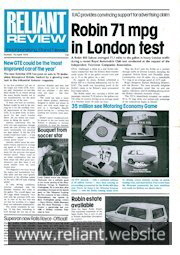 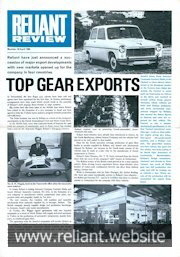 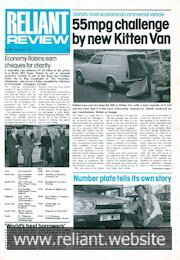 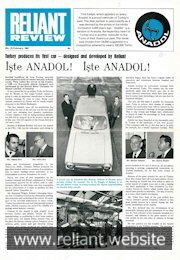 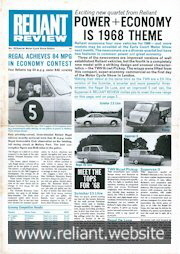 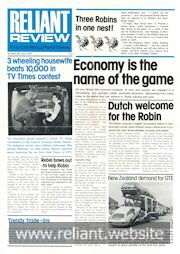 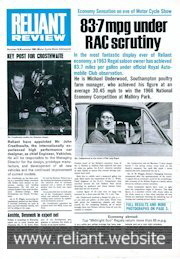 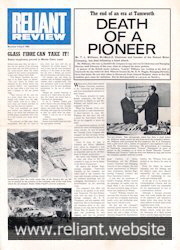 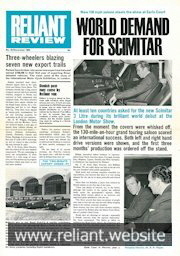 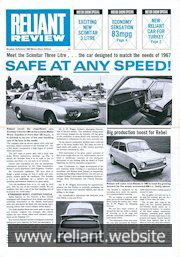 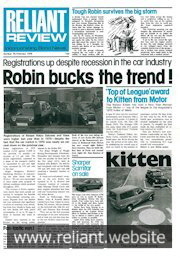 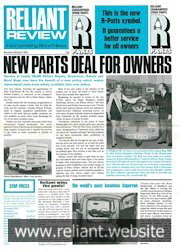 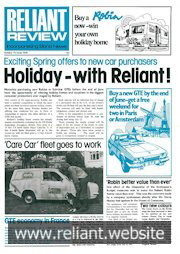 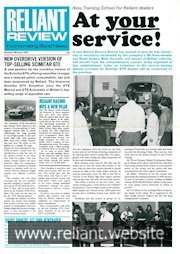 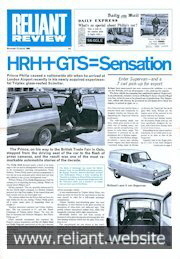 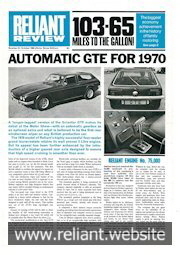 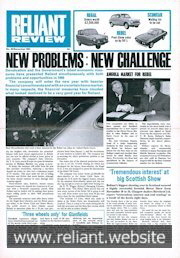 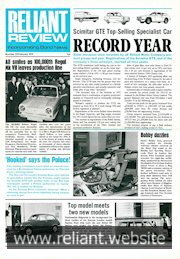 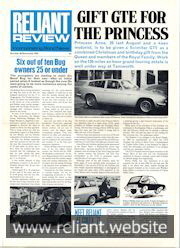 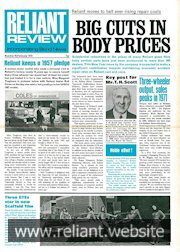 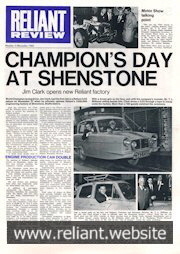 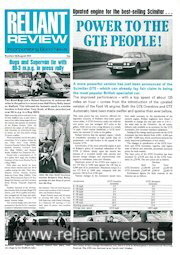 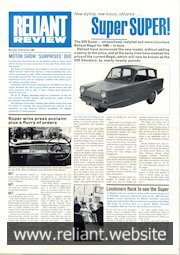 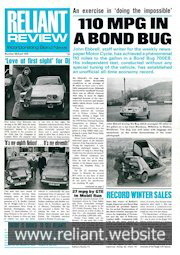 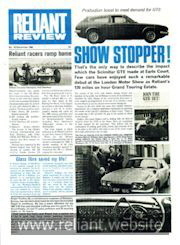 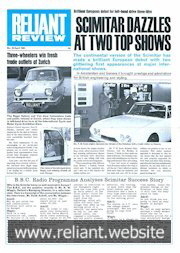 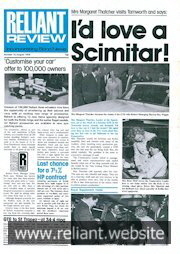 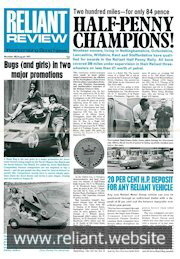 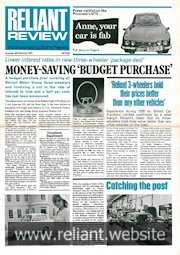 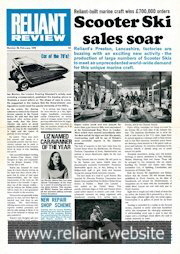 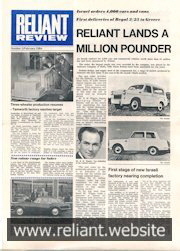 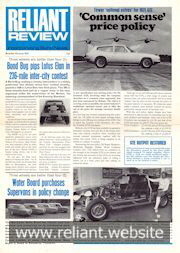 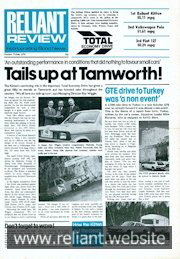 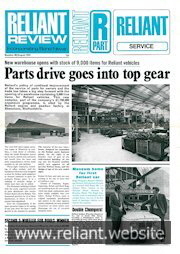 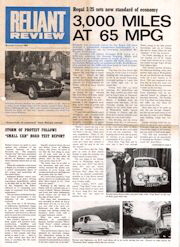 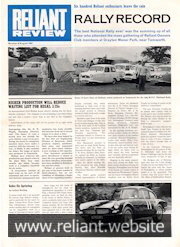 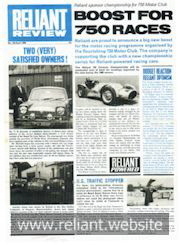 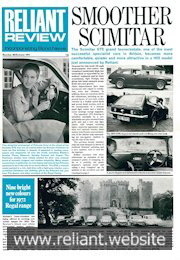 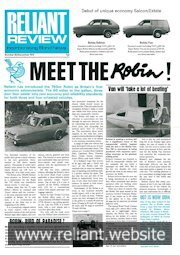 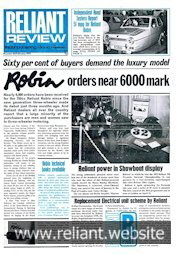 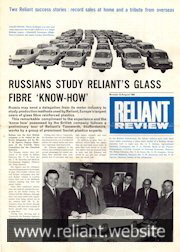 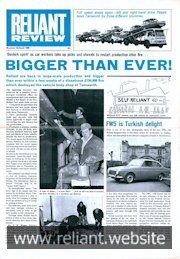 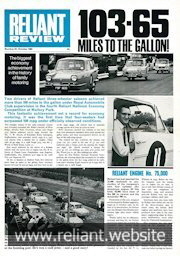 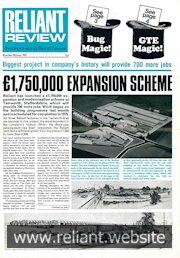 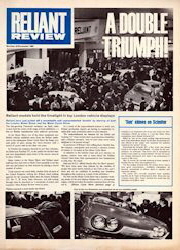 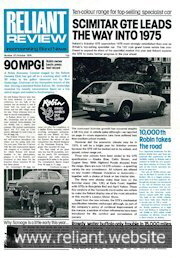 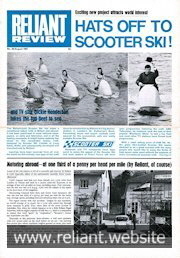 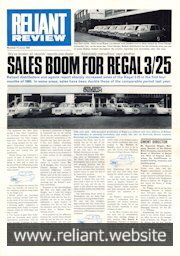 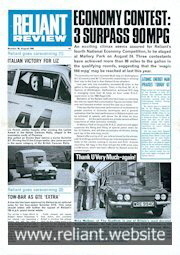 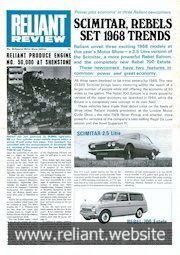 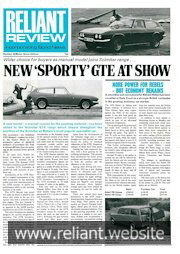 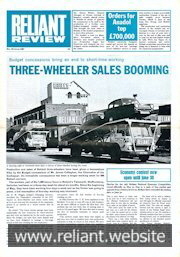 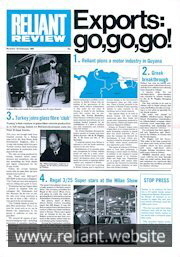 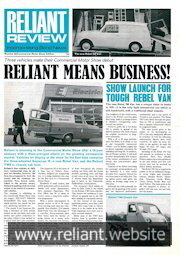 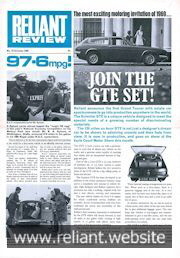 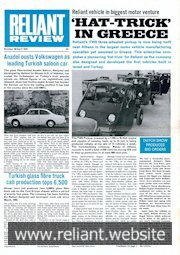 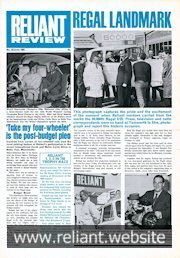 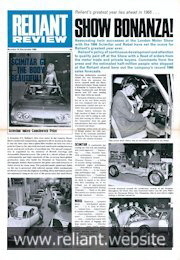 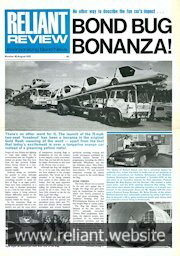 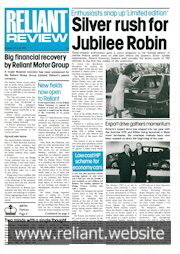 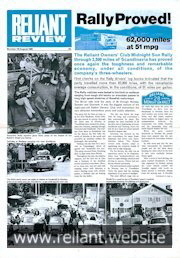 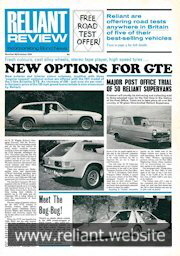 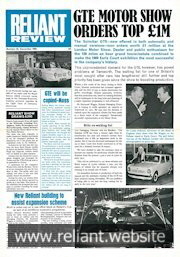 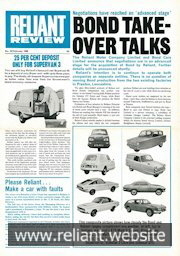 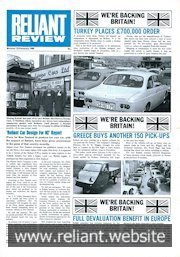 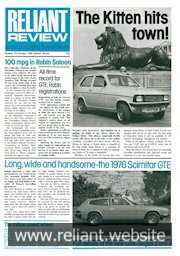 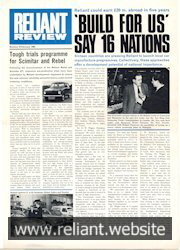 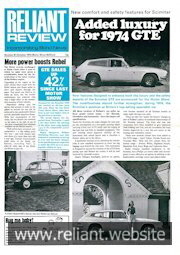 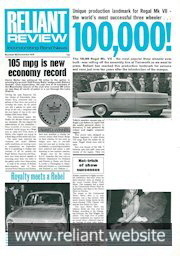 Issued from 1963 to 1977 the Reliant Review was Reliant’s way of sharing news with customers, owners and dealers. 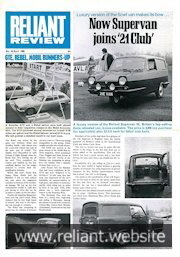 The brain child of Ray Wiggin, they survived until Wiggin left the company in 1977 shortly after J F Nash take over. 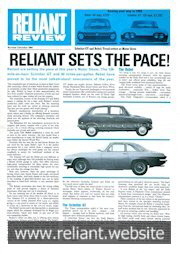 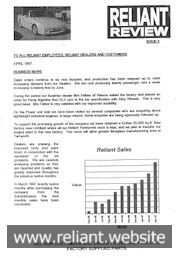 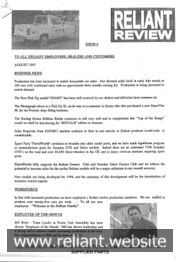 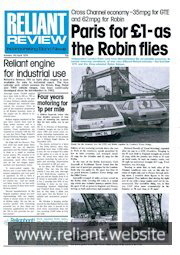 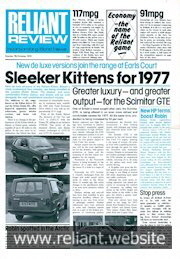 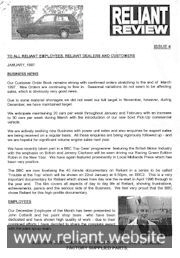 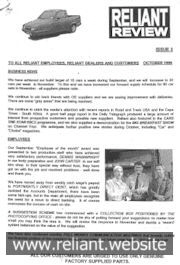 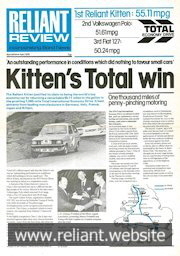 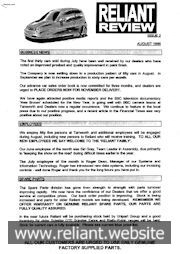 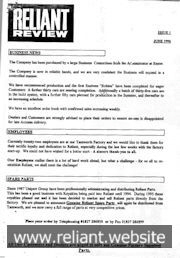 In 1996 under Jonathan Heynes, Reliant reintroduced the Reliant Review in an A4 format that this only survived for 6 editions. 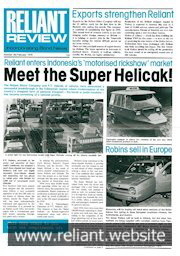 Whilst we are sure other sites may follow, the RMC are pleased to be the first web site to offer every edition of the Reliant Review online. 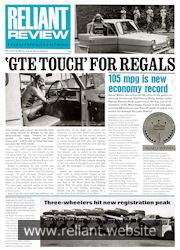 Whilst version 1 is free to view, RMC members have access to every edition. 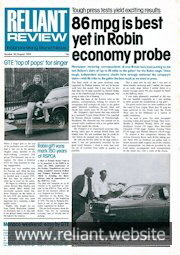 Thanks to Kerry Croxton and David Poole who provided many of the scans below.